Got a handful of habanero peppers, some salt and oil if you wish and a blender? 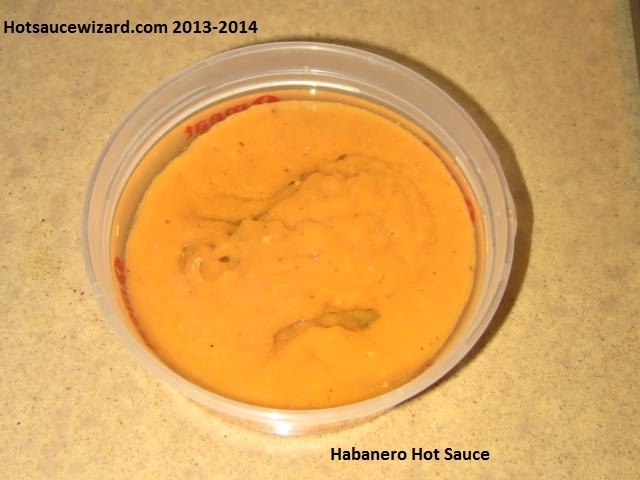 Whirl together and you have your habanero hot sauce in three minutes or less. 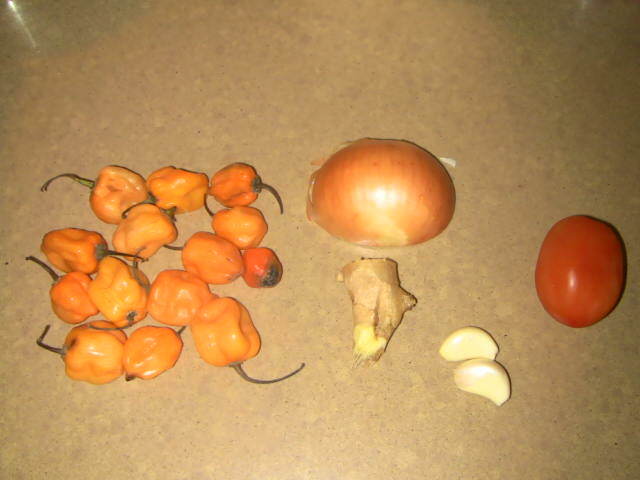 In my home country Cameroon, Habanero and Scotch Bonnet peppers are two varieties commonly grown. Homemade hot sauce use these peppers as base with added ingredients combined according to taste. This influence explains why habanero is the main pepper for my recipes. The habanero is a variety of chili pepper. Mature fruits colors are orange and red, but white, brown can also be found like the Jamaican Chocolate Habanero Pepper. Habanero chilis are intensely hot with a rating varying between 100,000 and 550,000 on the Scoville scale. Flavor is a big addition to any meal that's why I always add a few more ingredients to the ones above to create my homemade habanero hot sauce. Wash the peppers, oinion, garlic, ginger, tomato and cilantro; This can be done in a coliander. Place the ingredients in a pot/pan with some water. Bring to a boil and cook for 10-15 minutes at low to medium heat. Turn the heat off and let cool. Whirl all the ingredients into a thick paste. Scrape the paste out into a bowl, and cover it well oil. Add salt to taste. If you are new to handling hot peppers, please wear some kitchen gloves and even a mask because the smell will likely make you cough and sneeze. Wash your hands and everything else thoroughly when done. This sauce can be refrigerated for a couple of weeks(I have stored mine up to four weeks). You could use it as a table sauce for guests and family. I usually carry a small container with me at gatherings and even restaurants to give some meals a punch!